2018 Fulbright Gala Presentation Dinner- Keynote Speaker Announced! You are here: Home>2018 Fulbright Gala Presentation Dinner- Keynote Speaker Announced! 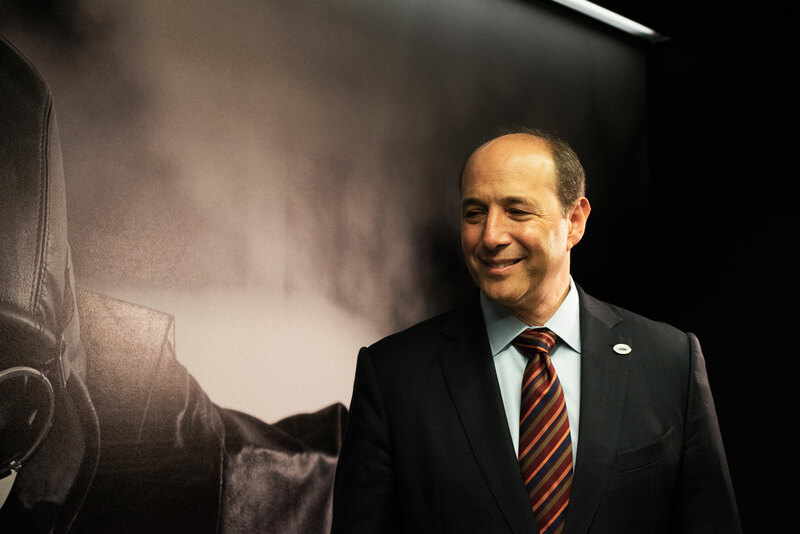 The Australian-American Fulbright Commission is thrilled to announce that the keynote speaker of the 2018 Fulbright Gala Presentation Dinner is Ambassador Jeffrey Bleich. Jeff is a partner in the Public Policy and Regulation practice of Dentons. He served four years as US ambassador to Australia and also as special counsel to President Obama in the White House. His law practice is focused on international and domestic litigation and counselling, with special emphasis on privacy and data security, internal investigations, trade and cross-border disputes and the Asia-Pacific region. Jeff has represented many of America’s leading companies in the technology, security, media, finance and manufacturing sectors, including as lead counsel in jury and bench trials and in appeals before the US Supreme Court, the California Supreme Court and numerous intermediate courts. In 2015, Jeff was selected as a member of the American Arbitration Association’s (AAA) Roster of Arbitrators. As a certified arbitrator, he provides alternative dispute resolution (ADR) services to individuals and organizations who wish to resolve commercial conflicts out of court both domestically and internationally. Jeff has been regularly listed among the Daily Journal’s Top 100 attorneys in California, honoured as a California Lawyer Attorney of the Year and listed in Lawdragon 500 and in America’s Best Lawyers as a top “Bet the Company” lawyer. He has also taught several courses at the University of California Berkeley School of Law, and publishes extensively. Jeff previously served as special counsel to President Obama from March to September 2009, before being appointed by the President to serve as the 24th United States Ambassador to Australia. As ambassador, Jeff’s term was marked by the US re-balance to the Asia Pacific, with Australia being the focal point for that shift. His efforts included overseeing record growth in trade and investment between the U.S. and Australia, bringing the Defence Trade Cooperation Treaty into force, establishing new alliance agreements for satellites and cyber-security, executing a new space cooperation agreement that supported the Mars Curiosity rover landing, leading joint U.S.-Australia efforts in Afghanistan’s Uruzgan province, and promoting regional human rights efforts. For his federal service, Jeff has received numerous awards, including the highest civilian honors awarded by the Director of National Intelligence and the United States Navy. In 2013, he received the State Department’s highest award for a noncareer ambassador, the Sue Cobb Prize for Exemplary Diplomatic Service. In addition to his professional practice and federal service, Jeff has served the state of California overseeing the nation’s largest higher education system as chair of the California State University Board of Trustees (2008–09), and the nation’s largest bar association as President of the California State Bar (2007–08). He has also served as president of the Bar Association of San Francisco (2002–2003) and as chair of the ABA’s Amicus Curiae Committee (2008–09), as well as chair or president of several other nonprofit legal organisations. From 1998 to 1999, he served as director of the White House Commission on Youth Violence following the tragic Columbine shootings. Jeff currently serves as Vice-Chair of the Fulbright Foreign Scholarship Board, appointed by President Obama. He also serves by appointment of Governor Jerry Brown on the Governor’s 11-member International Trade and Investment Council. Jeff has been elected as a life member to both the American Law Institute and the Council on Foreign Relations. He also serves on the board of Pratt Industries as well as Willie Mays’ Say Hey Foundation. In 2009, the city of San Francisco named a day in his honour. For more information on the 2018 Fulbright Gala Presentation Dinner visit our Eventbrite page.